How long will you need the equipment? Spanky's Portable Toilets, Inc. is Tuscaloosa's premiere portable sanitation company. Locally owned and operated, we have been proudly serving the area for over 24 years. We provide rentals on portable toilets, sinks, wash stations, and holding tanks for all types of outdoor sites and occasions where access to bathroom facilities is needed. At Spanky's, we provide our customers with a range of rental options to fit their specific needs. In fact, we also offer handicapped units, for those that have special needs. 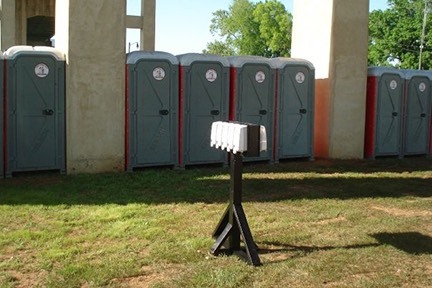 Whether we're supplying a construction site with a monthly rental or providing portable toilets for a weekend event, we always deliver the best portable prices in Tuscaloosa. We will work with you to help you plan accordingly and ensure you find the right facilities for your site or event. Not only do we help you decide how many your units you will need, we will also make sure you receive clean, disinfected and completely refurbished units every time. Our level of commitment cannot be beat. We are dedicated to serving the Tuscaloosa area with the cleanest, most accessible port-a-potties available. 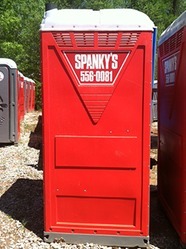 The customer service experts at Spanky's Portable Toilets are skilled in working with industrial, commercial, residential and special events customers. 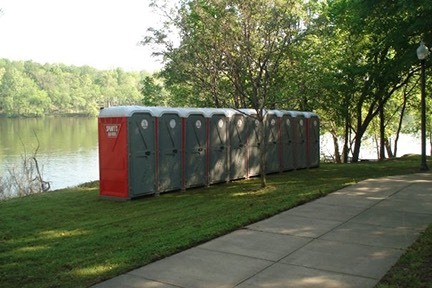 Let us provide you with the portable restroom and toilets your site needs. We are committed to excellence as evidenced by our many loyal customers. The success of your business is our first order of business. Give us a call today for a quote at (205) 556-0081.